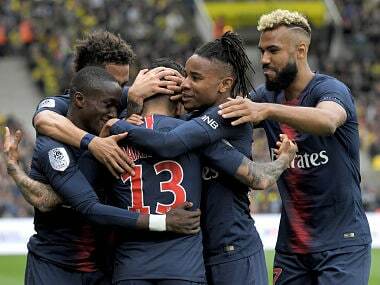 Paris: Neymar wasted no time in making an impact on the field for Paris Saint-Germain, scoring on his debut in a 3-0 win at Guingamp and declaring he felt "more alive than ever". 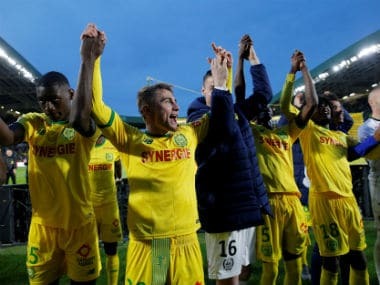 The Brazilian world-record signing was handed a start by coach Unai Emery for the game in Brittany, two days after international clearance came through for his €222 million ($261 million) switch from Barcelona. He then set up the second goal for Edinson Cavani with a superb pass in behind the Guingamp defence before completing a comfortable victory with his team's third goal eight minutes from the end as PSG made it two wins from two to start the French season. "People think that leaving Barça is to die, but no, it's the opposite," Neymar told reporters. He had taken the place of Javier Pastore in the Paris side in the only change from last week's 2-0 win over Amiens, completing a €350 million front three with fellow South Americans Cavani and Angel Di Maria. Neymar was one of four Brazilians in the PSG line-up, not including Brazil-born Italy midfielder Thiago Motta, for the game played before a sell-out crowd at the 18,000-capacity Stade du Roudourou. That was a sign of the interest generated worldwide by Neymar's transfer, which Qatar-owned PSG hope will help them conquer Europe after coming up short in the Champions League in recent seasons. Emery's side are also desperate to regain the French crown after losing out to Monaco last season. "I'm very happy. The main thing was to win. The team played well and I played well," Neymar, speaking in Spanish, told Canal Plus, after the match. 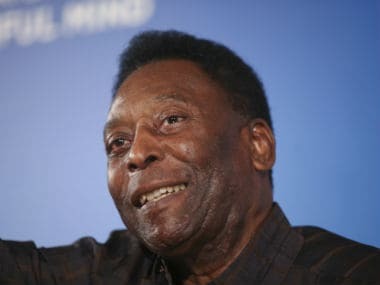 "It is always very important to score, not just in the first game. This is a very big challenge for me as a person, but we have a great team." 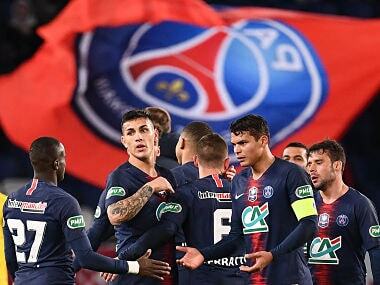 But PSG needed just seven minutes of the second half to get the breakthrough with Neymar involved in the build-up as Ikoko, a former PSG player, tried to play the ball back to Johnsson and succeeded only in passing it into his own net. Jemerson also scored for Monaco as Kylian Mbappe was left on the bench amid speculation linking him with a €180 million move to either Real Madrid or PSG. Sunday's other game in France saw Marcelo Bielsa's Lille finish with 10 men in a 3-0 defeat at Strasbourg.